Haider Khan and Minister for Information Mushtaq Ahmed Minhas have said 69th Foundation Day of the Government and the State of Azad Jammu and Kashmir is being celebrated by all the Kashmiri and Pakistani people with all gusto and patriotism. The President in his message, said there was a great historical struggle behind the establishment of Government and State of the Azad Jammu and Kashmir on 24 October 1947; the people of the Jammu and Kashmir had strong willed to annex their future and fortune with Pakistan. However, in accordance with the partition plan, when the Kashmiri people could not get their right to self determination, they started the historical movement against the tyrant Indian forces to realize their wishes and aspirations to annex with Pakistan and after armed struggle of 15 months, they liberated a large part of the Jammu and Kashmir from the clutches of the despotic Dogara rule and established a revolutionary Azad government. League under the leadership of Prime Minister of Pakistan Muhammad Nawaz Sharif is supporting the Kashmir Movement and the right to Self Determination. India must realize now that Kashmiris can never be suppressed through excessive use of power. He said Kashmir issue is the fundamental cause of deprivation and poverty in South Asia. For a durable peace in the South Asia, I would say that the Kashmir dispute must be resolved in accordance with the aspirations of the people. 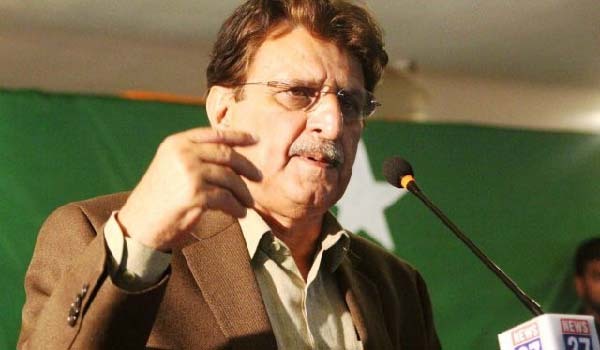 Mushtaq Minhas said “I want to salute all the people and freedom fighters on this occasion of 69th Foundation Day of government and the State of Azad Jammu and Kashmir and guarantee them of complete support in their struggle for the right to self determination. May Allah Almighty give us strength to achieve our objectives”.